To celebrate the end of 2011 holiday shopping season, Apple launched the big iTunes discounts that called “12 Days of Christmas“. Including a large number of iOS applications, music, movies, TV shows etc. Now, free downloading is in active. This event will continue to January 6 next year from December 26. iOS users should note that Apple iTunes content available for free downloading is only valid for the day, ie after 24 hours will recovery charging mode. 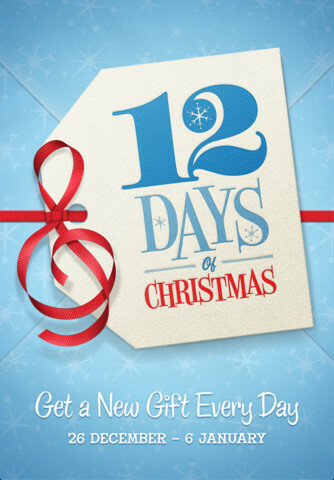 Users can download iTunes-12 Days of Christmas application to select iTunes free content anytime. As long as you are iPhone 3GS, 4, 4S, iPod touch 3, 4, iPad 1, 2 User ( iOS 4.3 or above ), you can enjoy this offer. In the following 12 days, Apple will release a lot of free downloading content everyday, but every choice is only 24 hours, iOS users do not miss it.